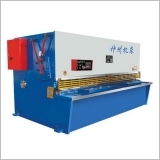 ※ Frame welded,vibration to eliminate stress,high in rigidity,sturdy and durable.Hydraulic drive,swing beam,retum of knife beam is smooth and prompt by accumulator of nitrogen cylinder,stead&reliable perfoman. ※ The position oflow blade can be adujsted to ensure the epuilibrlum of the gap after regrinding.The protable and prompt adjusted of the blades’gap,the value of gap is indicated by dial,positioning reliable. 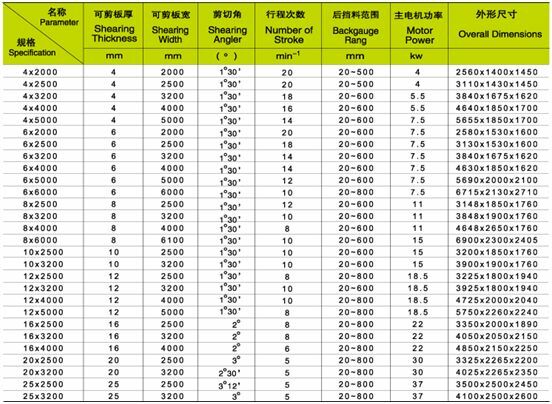 ※ Setting the backgauge by motor.The displessly devices used to the backgauge’value and the shearing times are on the front of the machine. ※ The stroke of knife or cbeam can be adjusted steplessly,conveniently and fast,Presselection of single or continous strokes.Preselection of cutting number and cutting stroke.